Considering that the major portion of a buyer’s journey takes place without his or her knowledge, salespeople have to rise above a long list of challenges, regardless of their industry. Competition is fierce, and organizations are finding that their salespeople are unable to tell a compelling enough value story to set themselves apart. If those salespeople's portfolios are complex, the challenge may even become insurmountable. So, how can sales teams rise above? What does it take to stand out from the crowd and leave a memorable impression? Today’s sales teams need a strategy, strong communications and up-to-date technology. With the right strategy, a salesperson can act with a plan: communicating product value and differentiation clearly and concisely. Cutting-edge technology allows the sales professional to convey innovation and create a lasting memorable engagement. With this winning combination of strategy, communication and technology, sales teams can separate themselves from the competition and close more deals. 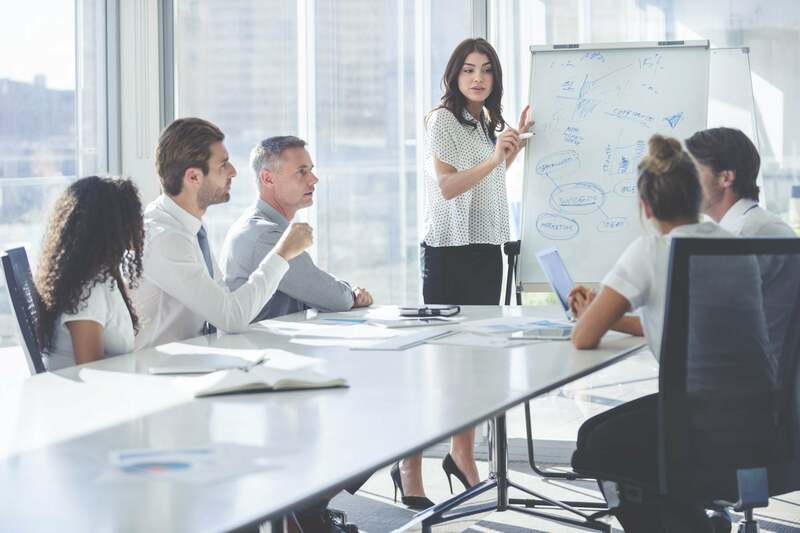 Here are five specific challenges that today’s sales teams face and how alignment with their company's marketing team can help them meet those challenges. Salespeople need to be experts at highlighting product features and benefits, but they often fail to communicate the value, which is equally, if not more, important. Here's where the sales department needs marketing’s help; salespeople need to put themselves in the position of their prospect and be able to answer their crucial questions: Why should this product or service matter? How will it help prospects do their jobs better? If salespeople can’t distill complex, competitive product and solution information into concise and articulate value propositions, they will not be effective. In 2017, Sirius Decisions reported that the number one challenge for B2B salespeople was (and still is) “their inability to communicate value differentiation.” Marketers must turn toward interactive applications that aid in telling a complex story to help sales deliver these value propositions to prospects. These applications provide a vehicle for deeper sales conversations, which uncover prospects’ hidden needs and how the product or service in question can meet those needs. Marketers must look to solutions that aid in telling a complex story to help sales deliver these value propositions to prospects. For example, interactive applications can provide a vehicle for deeper sales conversations, which uncover prospects’ hidden needs and how the product or service in question can meet those needs. both great resources for organizations seeking to develop an interactive application as part of their customer engagement strategy. This is especially true in the sales industry. A verbal explanation of a product or service is likely to fall on deaf ears. However, by showing and taking things one step further, where you involve a prospect, you are likely to see rates of retention and action (a sale) increase. Technological innovations, like augmented and virtual reality, for example, do just that — these advancements are inviting a prospect to experience a product or service. Of course, visualizing a digital solution is one thing, but interacting with it to solve a real business or technical challenge is something different entirely. If prospects are involved and actively participate in the sales experience, they remember not only who you are but what you can do for them. Therefore, marketers — such as those at Cisco — are building immersive environments that use visuals, animations and interactivity to create a multi-sensory experience, resulting in highly engaged prospects with high memory retention rates. Cisco was able to create a highly memorable, engaging product experience at Cisco Live without shipping any products. The company used augmented reality in conjunction with its interactive 3D product catalog to show products to prospects and customers, without a sales person or product specialist present. Consumers, whether B2C or B2B, are the target of myriad advertisements and sales tactics. So, if you're in sales, understanding exactly who your buyers are, what their needs are and how your offering can allow you to tailor a personalized pitch to multiple buyers, all in the same room. Listing product details is never going to close the sale; rather, you need to have an authentic conversation — listening and adjusting your pitch according to the varying decision-makers in the room. This is what communicates your value, builds your credibility and inevitably closes deals. For example, Baker Hughes, a GE Company, wanted to change the way it was selling, moving from product seller to value storyteller. To address the problem, Baker Hughes's marketing team implemented an interactive digital application to let salespeople navigate eight value stories that directly addressed numerous customers’ needs and challenges. You can do the same: Put yourself in your buyers' shoes to identify with their needs. In today's technology-driven world, there are an overwhelming number of tools to help salespeople close deals. Cloud technology, CRM systems, data analytics tools, web content management and sales software exist to make the job easier. Machine learning, artificial intelligence, content distribution systems, augmented reality and virtual reality are also out there and becoming more widespread because of their accessibility, interactivity and effectiveness. Take Wayfair, for example. In September, the retailer rolled out its augmented reality app functionality, allowing customers to place virtual furniture in their homes. However, companies need to prioritize their technology stacks in a way that will align with both sales’ and marketing’s needs and goals. Establishing and building emotional connections with prospects transcends traditional sales and marketing relationships. When prospects have the ability to immerse themselves in a solution and fully explore a product themselves, they develop deeper understanding and retention, creating an emotional connection. Building engaging, educational and interactive experiences has been proven to create 2x more conversations than passive content. And while enhancing conversations around specific personas falls under marketing’s purview, the ability to successfully deliver those experiences to prospects is the job of the sales team. That’s why the culmination of all of the challenges mentioned above needs to be solved by marketing and sales working together to create a deep breakdown of each buyer persona. Whatever the challenges, there are solutions to solve them. With the right combination of strategy, communication and technology, salespeople will be able to develop meaningful dialogue with prospects, accelerate the sales cycle and close more deals.